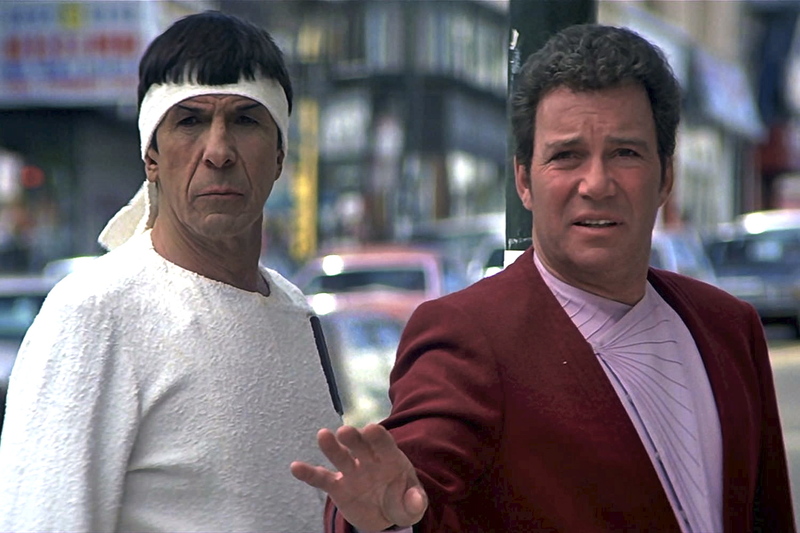 Leonard Nimoy, William Shatner in Star Trek: The Voyage Home directed by Leonard Nimoy. Remembering Leonard Nimoy (1931 – 2015) who was best known in the Star Trek TV series from 1966 to 1969 as Mr. Spock the half-human and half-Vulcan science officer. Nimoy later appeared in eight of the Star Trek movies. One of television and film’s most beloved (and coolest) characters, Nimoy will certainly be missed. Prev The Spongebob Movie: Sponge Out of Water: That Movie Nerd’s Video Review!